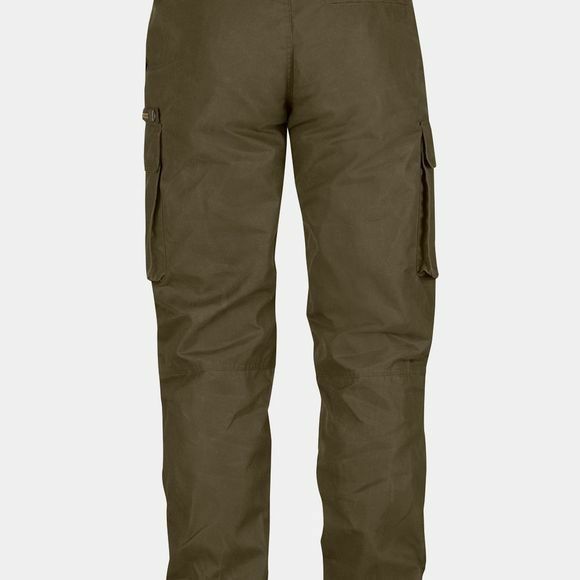 The Men's Brenner Pro Winter Trousers are robust, warm outdoors trousers for winter conditions. They are made from soft, rustle-free G-1000 Silent Eco with Hydratic that keeps moisture out. They have a warm lining of high loft mesh from the waist to just below the knees. The knees are reinforced with double layers of fabric for extra durability and the regular waist is cut higher at the back to ensure that the trousers sit well even when moving. Reinforced brace zones allow braces to sit well should you decide to use them. 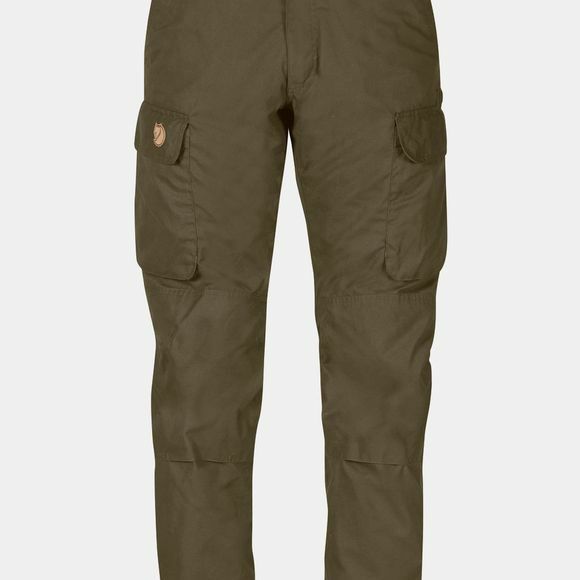 Two generous leg pockets with flaps have room for maps, a multitool, flashlight and other items needed close at hand, and the right-hand one has an inside mesh pocket for a mobile phone. There are also two hand pockets and a rear pocket with hidden buttons.